Not really being a fan of the more light-hearted fairy tales, I found this book description very appealing. 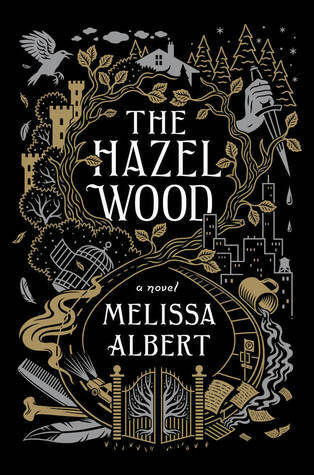 I came to the rapid conclusion that The Hazel Wood is wildly creative, and fans of dark fairy tales will adore it. 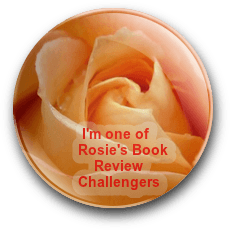 Writers in particular will enjoy the plot and character creation aspects mentioned. 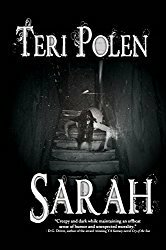 With its heightened sense of mystery, ominous cast of characters, and detailed descriptions, this book enthralled me. Twists, surprises, wonder – it’s all here. Some readers may not enjoy the pop culture references, but I did. Alice is well-read, and it seemed right for her character. Hinterland is both magical and threatening, and it’s easy to fall down the rabbit hole with this book. The Hazel Wood is scheduled for publication January 30th, 2018. A lovely review, Teri. People have some amazing ideas. They certainly do – makes the world such an interesting place. I love the title. As soon as I heard it, I needed to know more. It was the cover that first caught my eye, but I was a goner after reading the description. Oh, blast it all! Really? Fine. I’ll be needing that ladder now. Part of my criteria for deciding which books to request for review is that it’s something I know you’ll like, thus creating a taller TBR for you. I’m just lovable that way.